Why Do We Love the Masters? The 2018 Masters Tournament certainly did not disappoint. With the return of Tiger Woods to Augusta, playing in his first Masters for three years, Rory McIlroy chasing down the career Grand-Slam of majors, Justin Thomas aiming to complete back-to-back Major Championship victories, Sergio Garcia looking poised to defend his Masters green jacket and Jordan Spieth aiming to become a two-time Masters champion before the age of 24, the stage was set for a tournament full of drama and excitement. The Sunday morning leaderboard reflected this excitement with a top 10 filled with some of golf’s most popular and biggest names. In the end, Patrick Reed held onto his narrow lead and won the green jacket after fending off charges from McIlroy, Fowler and Spieth, who nearly created history with one of the most incredible Sunday rounds at Augusta in recent history. 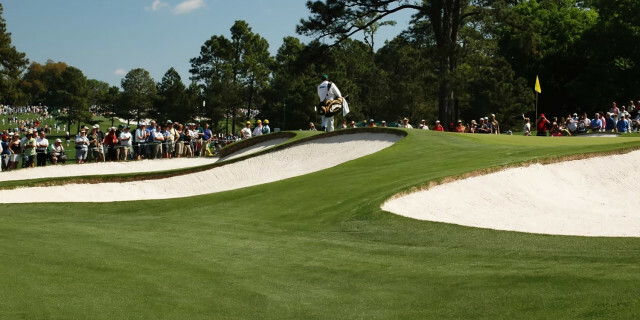 Since 1934, the Masters Tournament have provided some of golf’s most memorable moments and has become one of the most anticipated sporting events in the world. But why are we so addicted to sitting on our sofas for four days straight, watching these professionals tackle this golf course? What makes it such a special and unique major on the calendar? The Golf Course – The only major that is scheduled to be played on the same course annually, surely it would get boring to see this same track every year, right? Designed by the legendary amateur champion Bobby Jones, with the help of the brilliant golf course architect Dr. Alister Mackenzie, this great duo created one of the most scenic and difficult golf courses the world has ever seen. The beautiful and natural scenery at Augusta are home to some of the most gorgeous and memorable golf holes in the world, a truly breath-taking golf course to simply witness, let alone to have the honour to tee it up at. The Greens – Possibly the most feared aspect of Augusta is Dr. Alistair Mackenzie’s terrifying, fast and undulating greens. The massive ridges and huge breaking putts have been the only difference between winning and losing for a lot of golfers at the Masters. The greens strike fear into the minds of the best putters in the world and are truly a brilliantly designed aspect of this challenging course. The Drama – The Masters Tournament rarely occurs without any drama during the four ays and this year’s tournament was no exception. The challenging finish to the course and the anticipation of a possible green jacket has provided some incredible moments, brilliant and painful to watch. Tiger’s unbelievable chip-in on 16 in 2005 highlighted the fantastic drama the back nine at Augusta can create, while Spieth’s nightmare triple-bogey on hole 12 in 2016 showed the other side of the coin in one of the Masters most dramatic final rounds. Amen Corner – One of the most difficult and intimidating three holes in all of golf. Amen Corner, nicknamed by author Herbert Warren Wind in 1958 in Sports Illustrated magazine, has been the scene to many make-or-break moments for golfers attempting to win the green jacket. The brilliantly beautiful and challenging design is guaranteed to produce excitement and disaster every year. The Green Jacket – In 1949, Sam Snead received the first green jacket as the winner of that years Masters tournament, from then on, the tradition of the jacket has been carried on in spectacular fashion. The image of each year’s winner trying on their new item of clothing is shown around the globe, a picture every aspiring golfer dreams of having some day. Amateur Golf – Due to Bobby Jones’ legendary amateur status, the Masters has had a history of honouring amateur golfers at Augusta. They invite a variety of the world’s best amateur golfers to play the tournament, giving the world number one amateur the honour of playing with the previous year's Masters champion. The brilliant tradition promotes amateur golf like no other professional event. Tradition – One of the biggest characteristics of the Masters is the level of detail they go to when it comes to upholding the traditions of the competition. From the tradition of the honorary starters on the Thursday morning all the way through to champions dinner hosted by the previous year's winner, the Masters respects these traditions and does their best to uphold it for the future of the tournament. The Family Feel – The Masters prides itself on creating a brilliant family themed atmosphere, focusing on creating an event where everyone is welcomed with open arms. Events like the Drive, Chip and Putt competition, held every year on the Sunday before the Masters is a competition designed for 7-15 junior golfers, giving them priority on one of the best courses in the world, allowing them to showcase their skills on the biggest stage. The Par 3 Contest – A tradition unique to the Masters tournament, the Par 3 course is played on the Wednesday before the first round. It allows the professionals to have fun on the course in a relaxed atmosphere, bringing their families and children with them to caddy and play the Par 3 course alongside them in front of thousands of adoring fans. The tradition started in 1960 and has now become a highly anticipated event in its own right.